Looks like George hit the lottery! 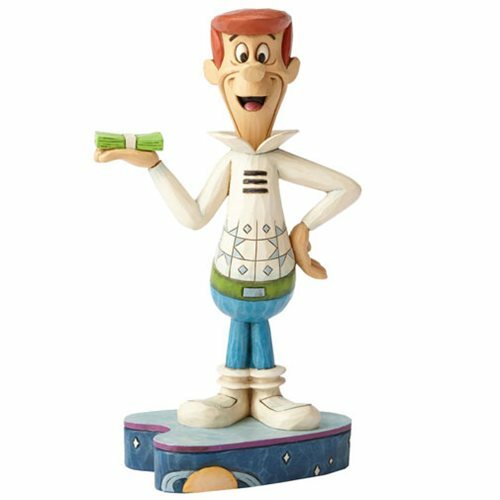 Folk art design meets the future in this The Jetsons Hanna Barbera Jim Shore George Jetson Statue. Patriarch George strikes a winning pose in this happy handcrafted piece decorated with Shore's signature quilt pattern motifs. Made of stone resin, it measures about 6 1/2-inches tall x 2 3/4-inches wide x 3 1/4-inches long. Ages 13 and up.